You’re just about to put your home up for sale. 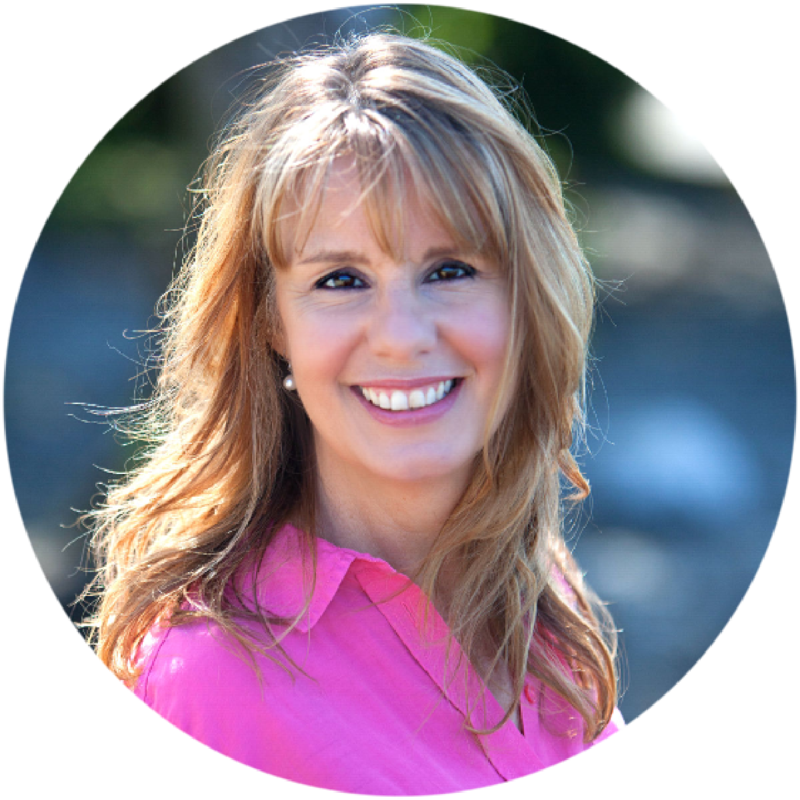 You’ve chosen your estate agent, decided upon an asking price, and planned your launch date. Your home is looking wonderful: spick and span, and sparkly clean. Now all you need are some finishing touches. But which? What should you buy to transform your house into an extra-special home that will wow your viewers, and generate an offer? Secret #1. 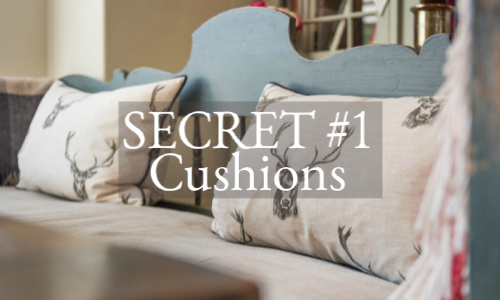 Cushions – a really easy way to instantly update that fading suite and add colour, texture and interest at the same time. If your living room is neutral and ‘safe’, add cushions with a splash of colour. If on the other hand, your colour scheme is vibrant, try pale coloured cushions, in cream, pale grey or faded gold. Secret #2. 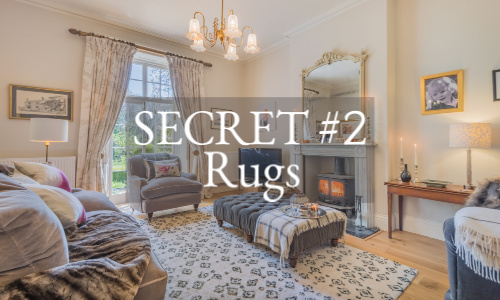 Rugs – a large, deep rug can transform a room, adding warmth and style. You don’t have to spend a fortune on one; there are some inexpensive rugs easily available online. A rug can also cover a carpet past its best, or add a sense of cosiness to a room with a hard floor. Secret #3. 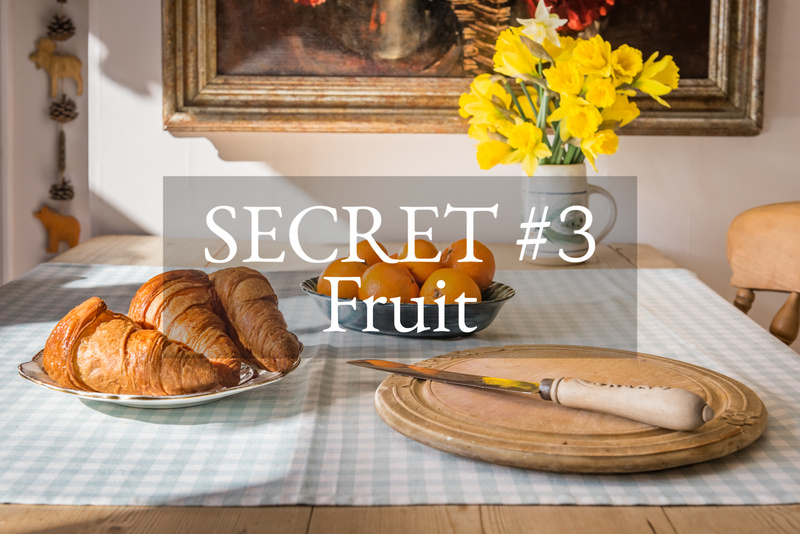 Fruit– big glass bowls or wide vases of fruit in the kitchen add instant colour and style. Fill them full of just one type of fruit (oranges, green apples or lemons look wonderful) to complement your kitchen in a contemporary style. Secret #4. 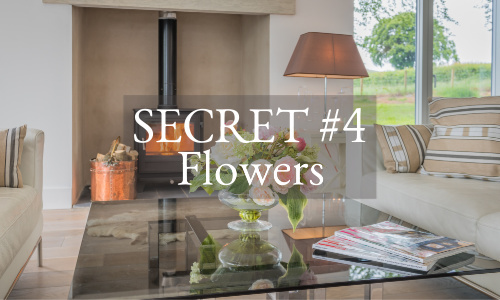 Flowers – make sure your flower arrangements are in keeping with the style of your house, and also the room: long elegant Cala lilies are great on a large dining table, whereas little hand-tied posies are just right for a rustic kitchen. Secret #5. 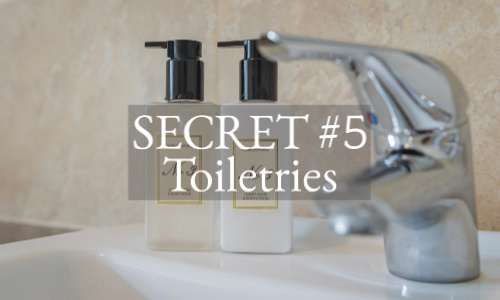 Toiletries –choose the very best you can afford here; it matters: a little Molton Brown goes a long way! Don’t let the family use them though; they are just for show. Secret #6. 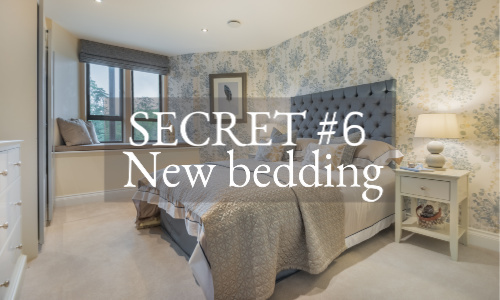 New bedding – especially for the master bedroom, where it matters most to your buyers. Choose a subtle style in a light, neutral colour, and add some cushions and a good quality throw for some hotel-style luxury. Secret #7. 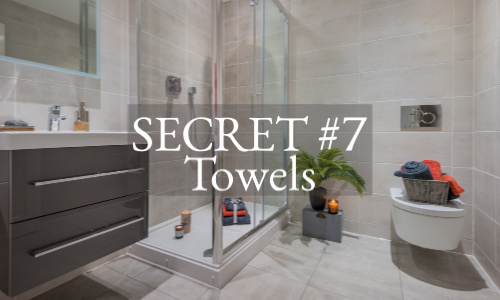 Towels – used towels never quite look the same as brand new ones, so treat your bathrooms to some gorgeous new towels. Don’t keep them out after the viewing; whip them away and store them so they stay looking their best. Secret #8. 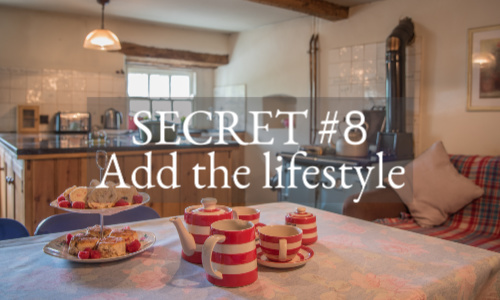 Add the lifestyle – leaf through any interiors magazine, and you’ll see rooms ‘staged’ with lifestyle elements. These are mini ‘room sets’, like a table set for breakfast or afternoon tea. Something as simple as a tea tray and a cake on a stand can make your home look wonderful for a viewing, and might just tempt a viewer to stay around and enjoy it! Secret #9. 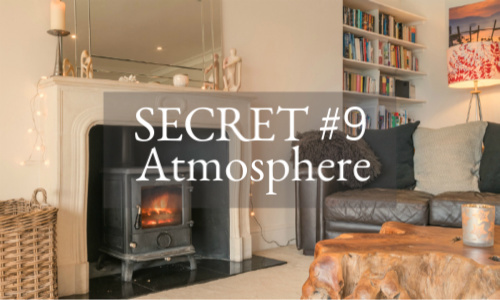 Atmosphere – to enhance your viewers’ experience of your home, make them feel comfortable and welcome. Put on some neutral background music to encourage your visitors to linger, and light scented candles in subtle fragrances for a finishing touch. Next – great range of coordinated soft furnishings and home accessories at value-for-money prices. Marks and Spencer – usually a little more traditional, so better for older homes in the main. John Lewis – my favourite, but the more expensive of my suggestions. Great for sumptuous fabrics and decorative touches. Matalan– not the best quality, but you definitely get a lot for your money! Right on trend, and full of bargain pieces like vases and ornaments. Well worth a visit. eBay – A fantastic resource for homewares, both new and second hand. You can search by item, size, colour, shape, you name it. I once furnished almost an entire house for sale from eBay, and saved a fortune. Try it! When your home is looking dressed and styled, it’s so much easier to feel confident about its appeal, and you’re more likely to get closer to your asking price. It doesn’t take much time and money for your home to look truly amazing, and to take you a big step closer to being able to move on.